Premier League. Tuesday January 1. Kick-off 5.30pm. Live on Sky Sports. TOTTENHAM'S title bid proved a flash in the pan as just as they overtook Man City in second they promptly sank to a shock 3-1 loss to Wolves at Wembley. They were never likely to keep pace with City and Liverpool in the long run anyway and tiredness is undoubtedly a factor amid a hectic festive run of fixtures. Mauricio Pochettino didn't make any signings in the summer and the club are punching above their weight in the top three while still waiting to move into their new stadium. They'll be fired up to prove the Wolves defeat was a blip and not the return of the “Spursy” curse. Any meeting with a Neil Warnock side promises a physical battle and the trip to Cardiff is no different. 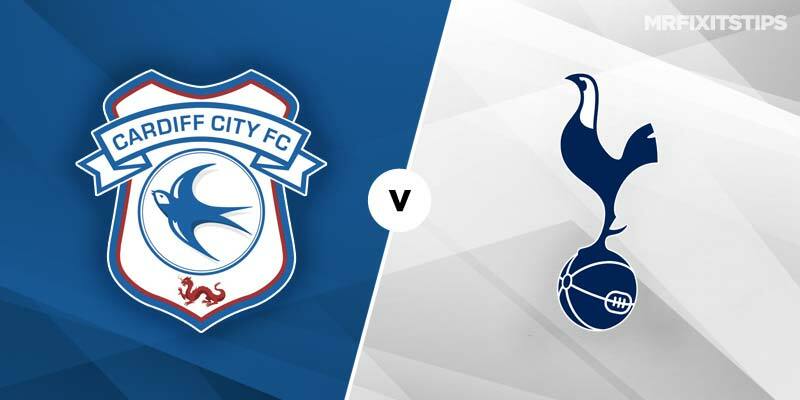 But Spurs have made a habit of bouncing back instantly from defeats this season and can make their quality count in the Welsh capital. Cardiff – buoyed by their last-gasp win at Leicester on Boxing Day that lifted them out of the drop zone – have won three of their last four at home. But they still have the joint worst home defensive record in the division with 20 goals conceded in 10 games. And they tend to struggle when the big guns come to town, with Man City and Man United both inflicting heavy defeats and Arsenal also leaving with three points. Spurs – who will have some fresh legs with the likes of Lucas Moura and Danny Rose restored the starting line-up – have excelled on their travels with seven wins from the last eight and I like the away victory and over 2.5 goals at 11-10 with 888Sport. Over 2.5 goals is worth taking on its own at 8-11 while Cardiff just to score – a feat they've achieved in six of seven at home – is decent value at 4-6. Cardiff centre-back Sean Morrison takes no prisoners and, with two bookings in his last five games, is tempting at 11-2 to get a card. In the scoring stakes, Spurs playmaker Christian Eriksen has only failed to score in one of his last four league outings and I'm on him at 9-4 to net any time.